The Blue Door Inn Welcomes You! Take a......... "Step Beyond Ordinary"
As the gateway to Rocky Mountain National Park, Estes Park is a worldwide travel destination. With dozens of choices in Estes Park hotels, lodging, and motels, why should the Blue Door Inn be your first choice? Well, most importantly, we've got some of the lowest rates in town. We offer budget rates for a property that is hardly budget in amenity or budget in any other way. We call this approach to our Estes Park hotel the "Budget Done Better." We understand how quickly expenses build on a vacation, and we want to make sure your stay is a great value for your great vacation. You could stay at an Estes Park hotel for twice as much money. Why spend more when we offer so much for so much less. By choosing us as their local lodging in Estes Park, guests are staying with a motel that takes a "Step Beyond Ordinary." Everyone working at our motel understands what it means to provide our guests with the very best experience during their stay with us. We go beyond ordinary in every way we can. 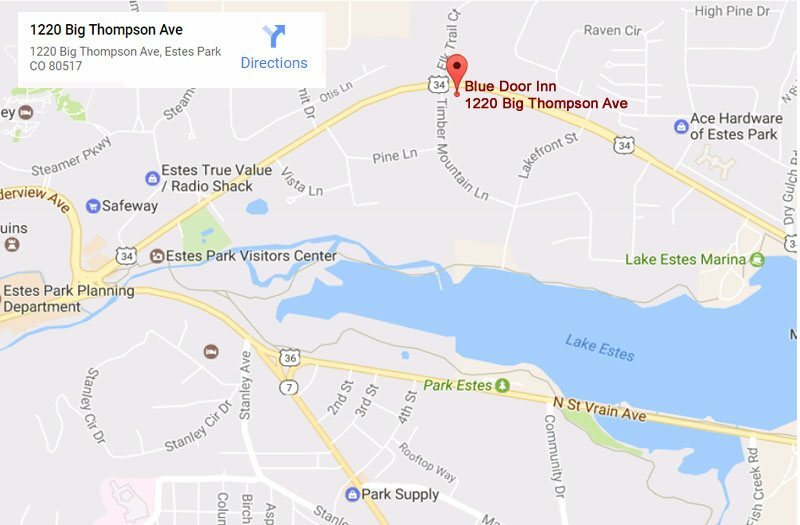 You have just discovered Estes Park's most recently renovated motel, The Blue Door Inn. We believe you’ll find lots of reasons to choose us for lodging. Give yourself a moment to find out what we are all about. Your choice of six different room types with one bed, either a King or a Queen. Available in Standard, Superior or Suite. 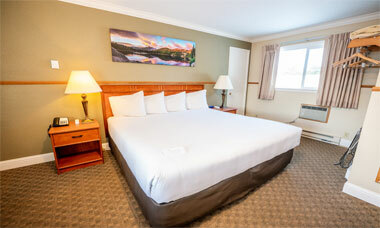 Choose from five different room types with two beds, either two Queens or our two Double XL beds. Available in Standard, Superior, Premium or Suite. These are our nicest rooms offering in-room Jacuzzis, Fireplaces, Balconies and with better views than our Standard Estes Park motel rooms. 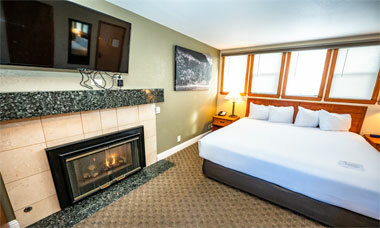 Read our reviews, compare our rates for Estes Park lodging and save by staying with us. We invested in a state of the art, 10 hotspot system so you can “get on” when you need and get what you need when you “get on”. A simple start to your day. Home baked bread, Starbucks, Fresh Fruit, Pastries, hard boiled eggs, hot and cold cereals, yogurt and juice. The heated pool at our Estes Park lodging facility will delight you. Enjoy a full service fitness center next door at discounted rates for our guests.